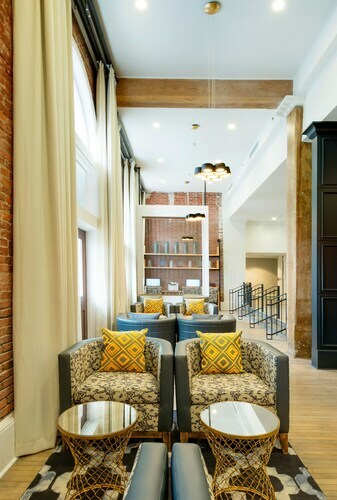 With a stay at Americas Best Value Inn - Savannah in Savannah, you'll be within a 10-minute drive of Savannah College of Art and Design and Savannah Civic Center. One of Georgia's most beautiful cities, Savannah is rich in history and is known for its lush green public spaces, Spanish moss, oak trees antebellum mansions and the classy townhouses. Savannah is also home to many educational institutions including the famous Savannah College of Arts & Design. Savannah being a top tourist destination has a wide selection of hotels for every need as well as budget. You will find every type of accommodation option here, right from 5-star hotels in Savannah GA to budget hotels in Savannah GA. Getting the best available Savannah hotel deals can be tricky, so we at MyFlightSearch have collaborated with top domestic as well as international hotel chains to provide you with top Savannah hotels at great prices. Browse through our selection of cheap Savannah hotels and save big on your trip. March to July is the peak season in Savannah when the weather is pleasant, and the azaleas are in full bloom. Moreover, the city hosts many festivals and events in these months like the St Patrick’s Day Celebration, Savannah Music Festival, etc. Since the city gets the most tourists during this season, Savannah hotel prices soar up. To save some on Savannah hotel deals visitors are advised to book in advance. The shoulder seasons of September and November are the ideal months to visit the city if you are looking to save on Savannah accommodation. The summer crowd clears at this time, and so, the hotel prices go down. The late winter months of January and February are also favorable months when most Savannah hotels give discounts to its guests. A great way to discover the city and its rich culture is by taking the foody tour in a climate controlled bus. This tour is all about culinary entertainment and also takes around the historic district. As Savannah is surrounded by various water bodies like marshes, rivers, creeks and the Atlantic Ocean, there is ample of opportunities to enjoy watersports. Kayaking, sailing, paddle boarding and kiteboarding are some of the watersports to enjoy. St Patrick’s Day is celebrated every day on March 17th every year, and the celebration here in Savannah is considered as the second largest party in the nation. The parade is the main attraction of this day and apart from this many other events are also held. Created in the 19th century, Forsyth Park is the largest park in the city. It is dotted with shady trees and has a beautiful walking trail. During the spring months, the park becomes verdant and is adorned with blooming azaleas. Around 30 minutes’ drive from Savannah, Tybee Island beach is one of the most popular tourist spots near the city. This place features 3 miles of beach and dune. Most of the travelers come here for fishing, swimming and sunbathing. Cathedral of St John Baptist was built in the 1870s but was rebuilt in 1899 after a severe fire devastated it. The interior of the cathedral is decorated with beautiful marbles designs and is also known for its renaissance style murals. Savannah/Hilton Head Island International Airport is a public and military airport located few miles away from the Central Business District. River Street is a historic cobbled street in the city that houses many restaurants, shops, and art galleries. A state-supported historically African American university which was established in the year 1890, Savannah State University is the oldest public university of its kind in the state. Nestled in the heart of the city, this is a historic district which is known for its cobblestone streets, manicured gardens and parks. Built in 1974, this is a multipurpose facility that hosts various events like concerts, trade shows, ballets and more. A super-regional mall built in 1969, Oglethorpe Mall is a haven for shoppers. Opened in 1990, this is an upscale mall in the city with all the top brands and designer stores represented. Undeniably one of Savannah's most popular shopping malls, if you are here to shop, a visit here is a must. This is considered as one of the best art schools in the country and was built around 1978. Nestled by the Savannah River, the historic district is one of the major neighborhoods in the city. Here you would get to witness the stunning buildings from Civil War and other notable attractions like the home of writer Flannery O’Connor and Isaiah Davenport House. Moreover, there are many restaurants, shops and art galleries to explore. Midtown features beautiful residential houses from the 20th century. It also boasts of fabulous restaurants, nightclubs, and locally owned shops that attract travelers here. There are plenty of hotels in this neighborhood right from luxury to affordable hotels. This area is just 20 minutes away from Downtown Savannah and is perfect for those looking to stay near the beach. The 5-mile beach and the nearby spots are very popular among travelers. Moreover, there is no scarcity of eateries, bars, shops as well as hotels. Average cost of a hotel room in Savannah? 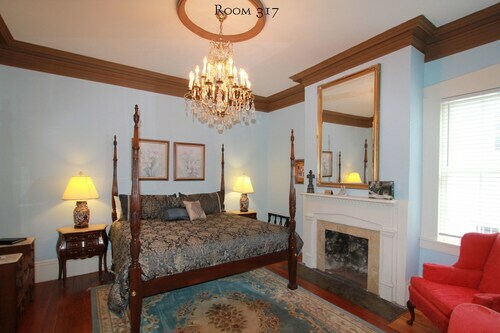 An average hotel room costs around $80 per night in Savannah. Average cost of a hotel room in Savannah during the weekend? An average hotel room in Savannah during the weekend costs around $100 per night. Which are the most popular Savannah neighborhoods to stay for Business Traveler? Downtown and Midtown are the most popular neighborhood to stay in Savannah for Business Travelers. How much do you tip a porter at a hotel in Savannah? Best Time to Book a Hotel in Savannah? If you plan to stay in one of the top hotels in Savannah then book 60 to 90 days before your departure. Advance booking of Savannah hotels can also help you get great offers. Savannah/Hilton Head International Airport is the main airport which is located 8 miles away from the central business district. This airport is well connected with top US cities and is served by airlines including Allegiant Air, Delta Air Lines, United Express and more. 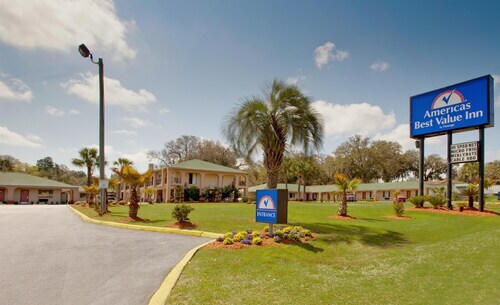 You will easily find hotels near Savannah airport for every need and budget.